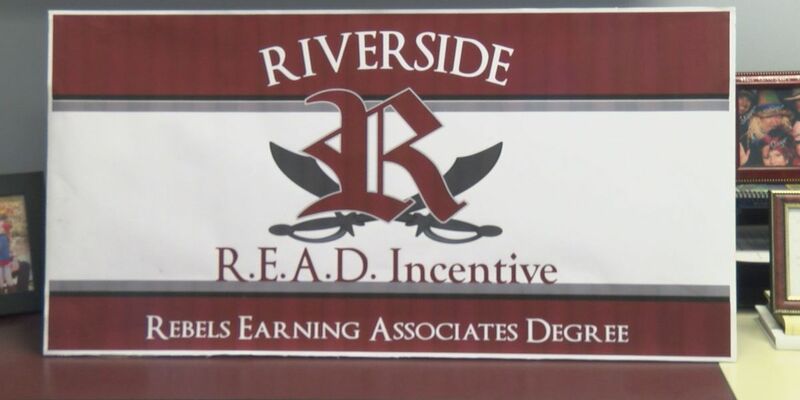 LAKE CITY, AR (KAIT) - Starting in the Fall of 2016, Riverside High School students will have the opportunity to earn an associate's degree for free while in high school. High School Principal Jeff Priest said the school board recently passed the R.E.A.D. Incentive, which will give students this opportunity. Students currently have the option to take concurrent college classes, but have to pay $48 for each class. Once the incentive is put in place, students will not pay anything and can take up to 60 hours, earning them an associate's degree. Priest said the school will fund the program and they have a few options for they can do that. "We've got a couple of different avenues that we're looking at," Priest said. "Since we've been in this school, which has been about 5 years now, we've put the numbers together and the budget has been running about $5,200, so we're figuring we're going to be in that ballpark of what it costs." He explained they are able to get a discount on the classes from Arkansas State University Newport because they have the teachers at Riverside who are able to teach the classes. Priest said next year's freshman will be the first class to have the opportunity to earn a degree.